In this unit, you will learn how to set up a voicemail inbox. You will be introduced to messages as well. Voicemail is controlled under Fastcall Settings > My Settings > User Settings in the section ‘Voicemail’. Once you have enabled voicemail, you should change the default voicemail message to something more friendly. Click in the Voicemail Message box and choose ‘Add Voicemail Message’ to do this. Your administrator might also have provided a company voicemail message for you. You can also turn on Voicemail Transcription from these settings. 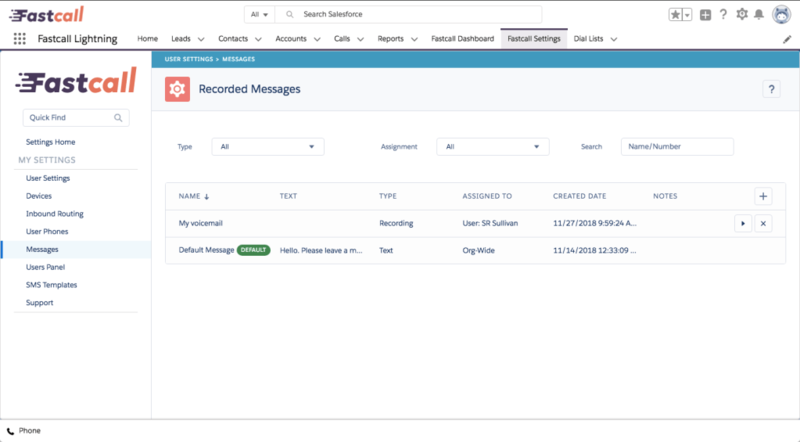 Messages are used for several things in Fastcall, including voicemail greetings. There are three types of message: Text, Recording and Audio File. The best one to use for most circumstances is the ‘recording’ message type. Not to be confused with SMS messages, a message of type ‘text’ is read out by a computer generated voice. 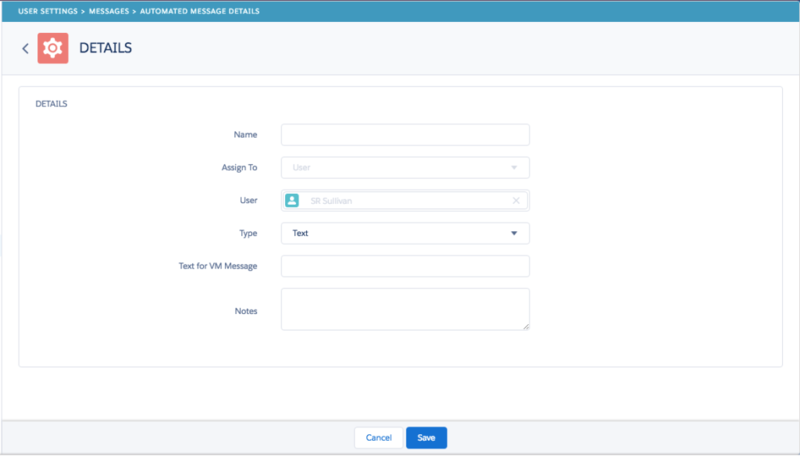 You make the message by typing the words into the ‘Text for VM Message’ field. A message of type ‘recording’ is made as follows: A call is made to a phone number, you pick up the phone, record the message and hang up. You specify which number to call in the ‘Select phone to dial’ and ‘phone to dial’ fields. A message of type ‘audio file’ is made by providing a link to an audio file hosted on the Internet. The file will become the message. To view your messages, click on My Settings > Messages. Here you can see all of the messages assigned to you, and you can also play back those of type ‘recording’ or ‘audio file’. You can delete a message by clicking the ‘x’ icon. You can add a message to use yourself by clicking on the plus icon and filling out a name, notes, and selecting a type and providing the necessary information to create a message of that type (see ‘Types of message’).